pushed me over the edge, and before I knew it I was reaching for the credit card. 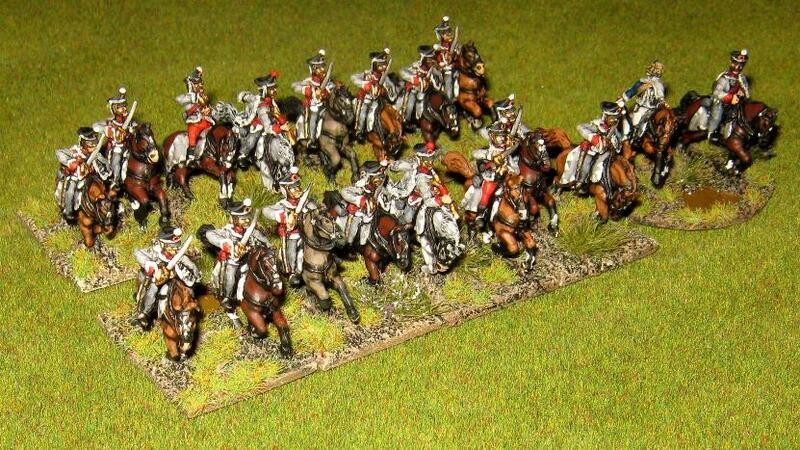 and filing away the cartridge box plate on their Lifeguard and Grenadier figures, I could use them as line infantry. 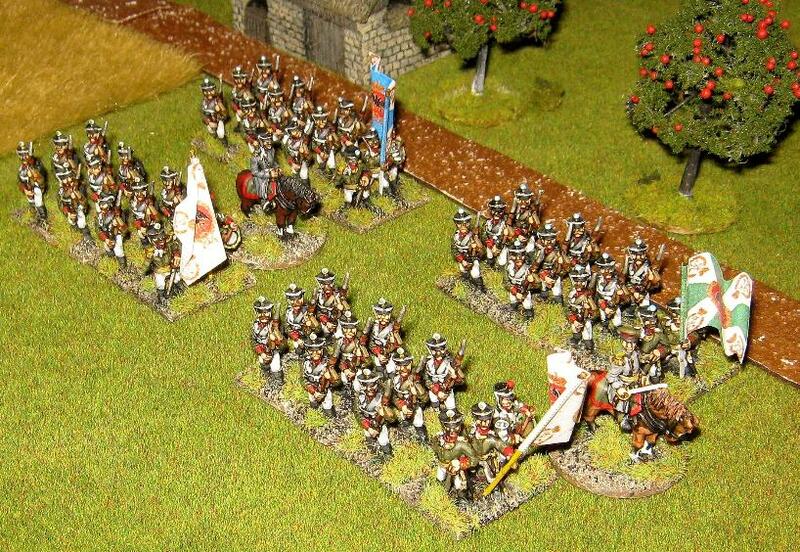 were brigaded with the Uhlans at Bautzen. Corps of two small understrength divisions. 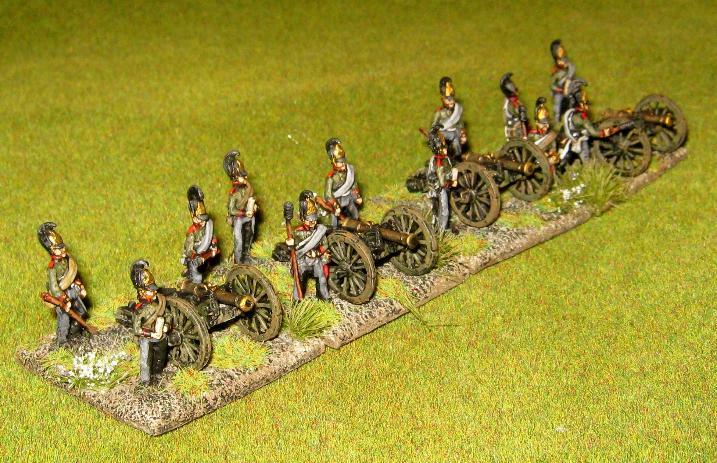 In total I have four Jager battalions and eight line infantry battalions. with their Elan for the assault. A few spare figures can be made into an interesting command vignette. 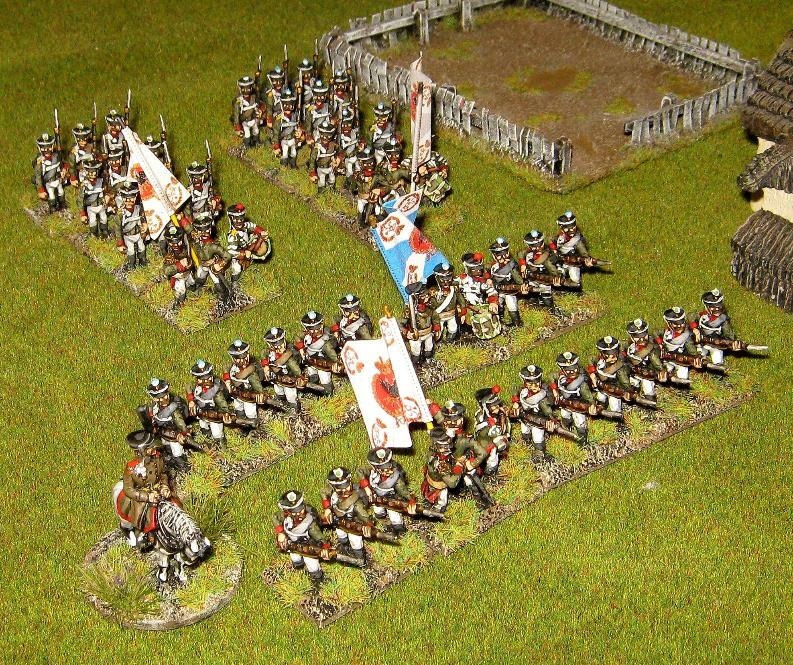 I decided to give the first battalion in each regiment the white regimental flag and the third battalion a 'coloured' flag. Second battalions were often the depot battalion. 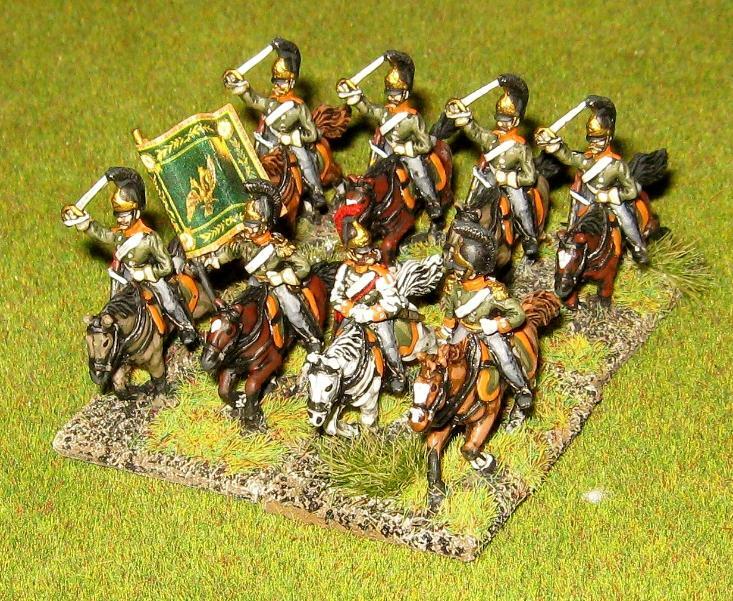 The Grodno hussars were by all accounts one of the best cavalry units in the entire army. 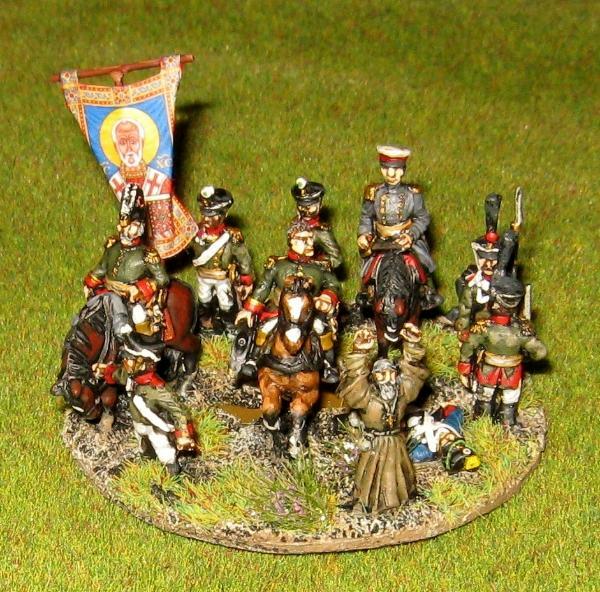 I added this unit to my collection as they were brigaded with the Tchougouiev Uhlans at the battle of Bautzen (20th/21st May 1813). 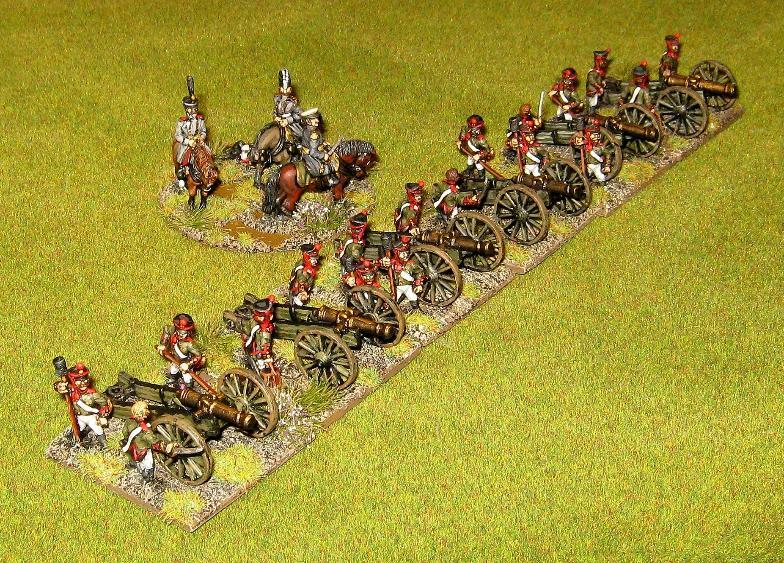 I have plans to do some games in the spring campaign of 1813. 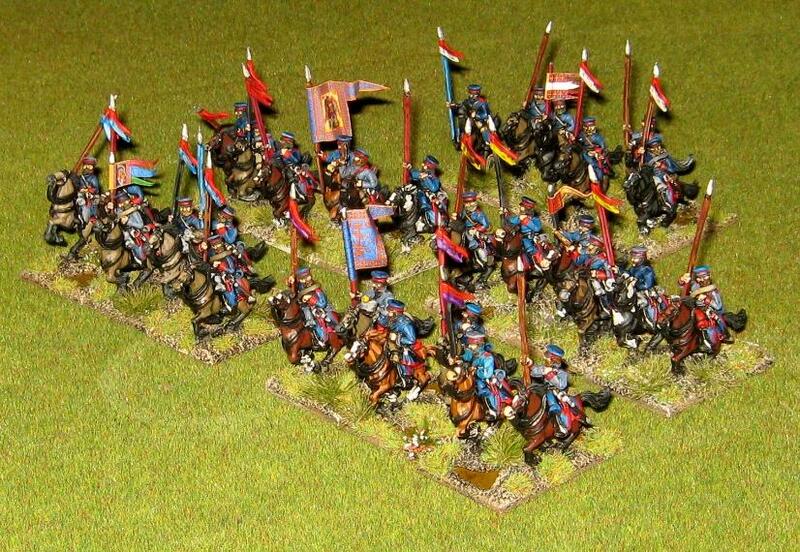 Did I mention, I absolutely love cossacks? 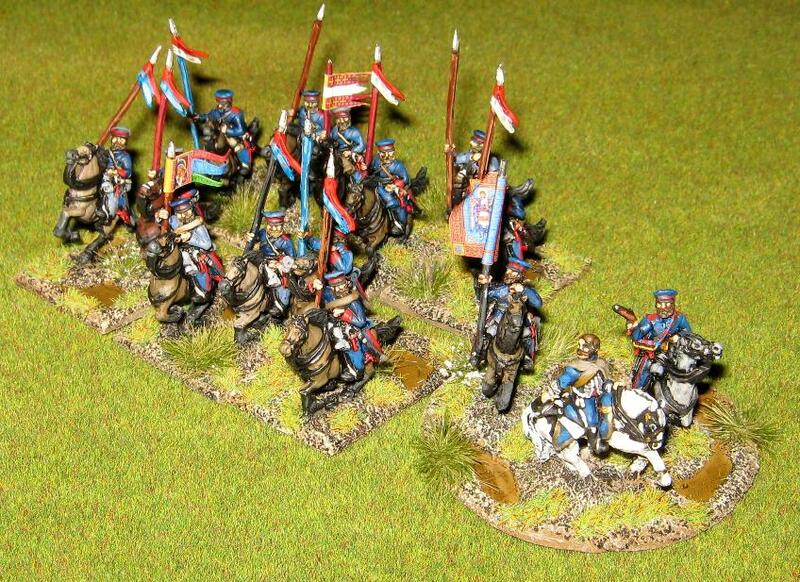 Lancers in their exposed flank and routed them, along with four Battalions of Polish infantry who were caught in the flank and rear. They then captured a Polish artillery Battery and killed the Polish Division's commander. 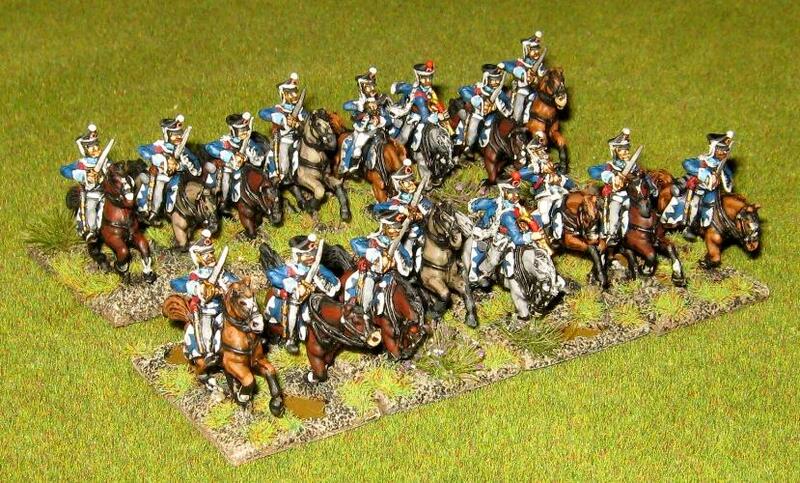 Since then I have had a couple of smaller successes but cossacks have become a great favourite of mine. 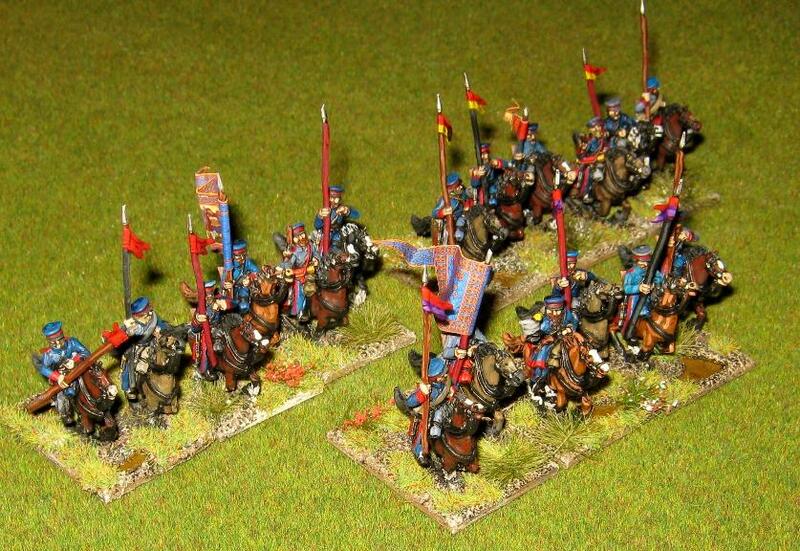 These are suitable really as 'Peasant Cossacks'. 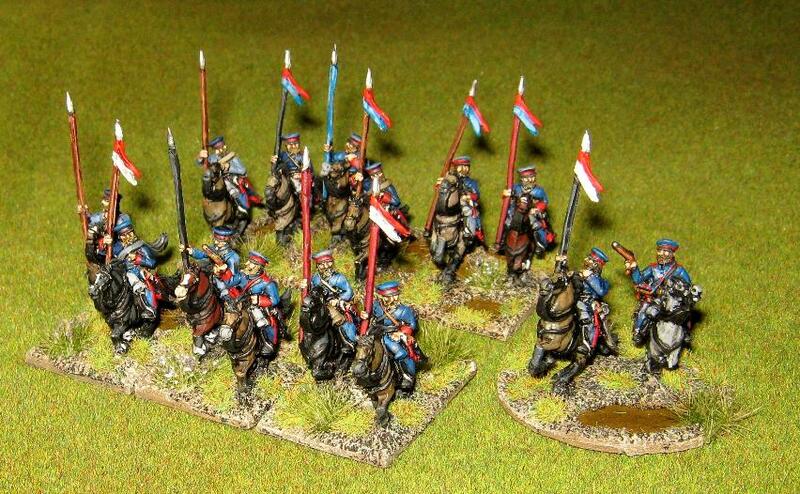 These are Old Glory Don Cossacks and better suited for my 1813/14 games than the Essex peasant cossack types. The horses are much smaller than the Essex ones but do look more like how I imagine cossack ponies would look. 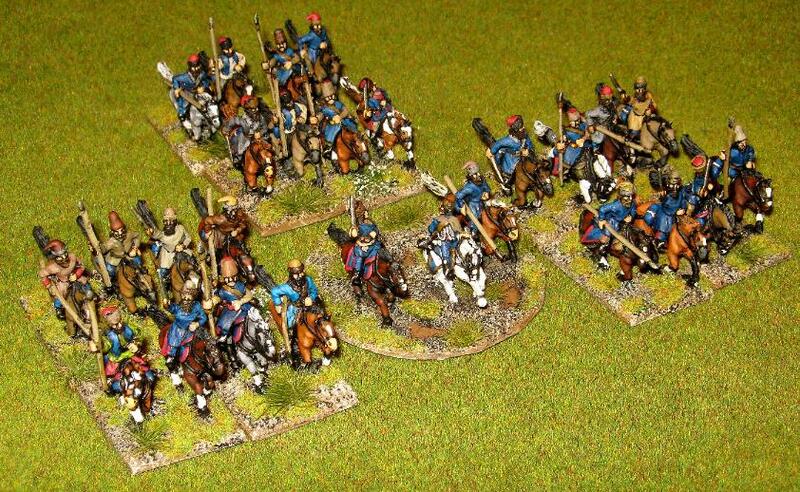 Essex cossacks look far too well fed for me. I've got five units of these differentiated by their lance pennons; red over white, blue, yellow and purple respectively, and plain red. 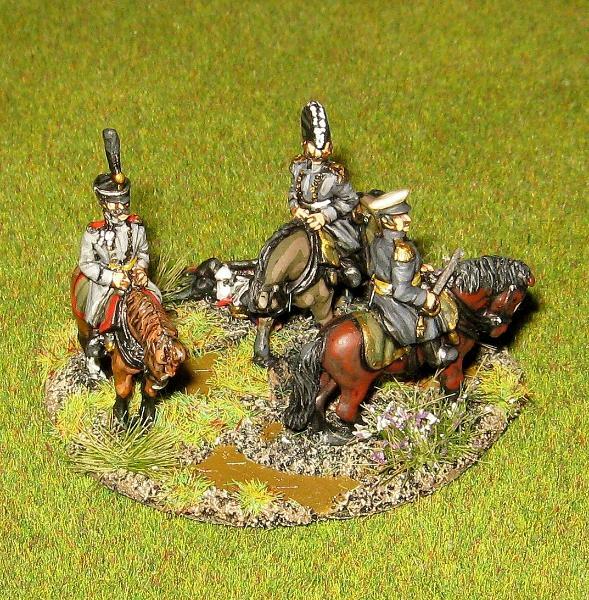 I decided to give each Don Cossack unit its own standard and added another to my Cossack commander. Little Big Men Studios make an excellent sheet of Russian Banners which are full of the religious icons often associated with Russians. Beautifully produced, and lavishly decorated, they add a welcome dash of colour to otherwise quite drab figures. 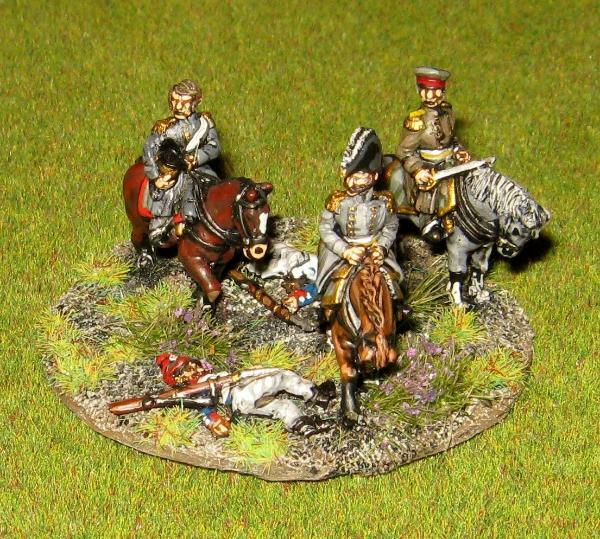 The Don Cossack commander below is an Essex figure. Five regiments waiting to fall on the flank and rear of the detested French and their lackeys. I've tried to make them as colourful and irregular looking as possible, despite the fact that they are all wearing a similar uniform. There are five differing shades of blue ranging from Dark Prussian Blue (Vallejo) to Shadow Grey (GW). 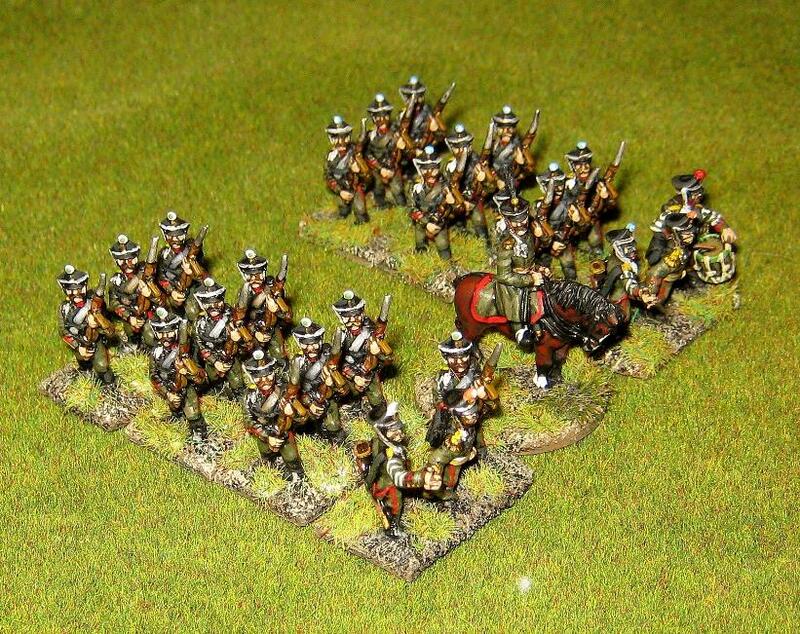 All figures Essex Miniatures unless specified. Owned and painted by yours truly.